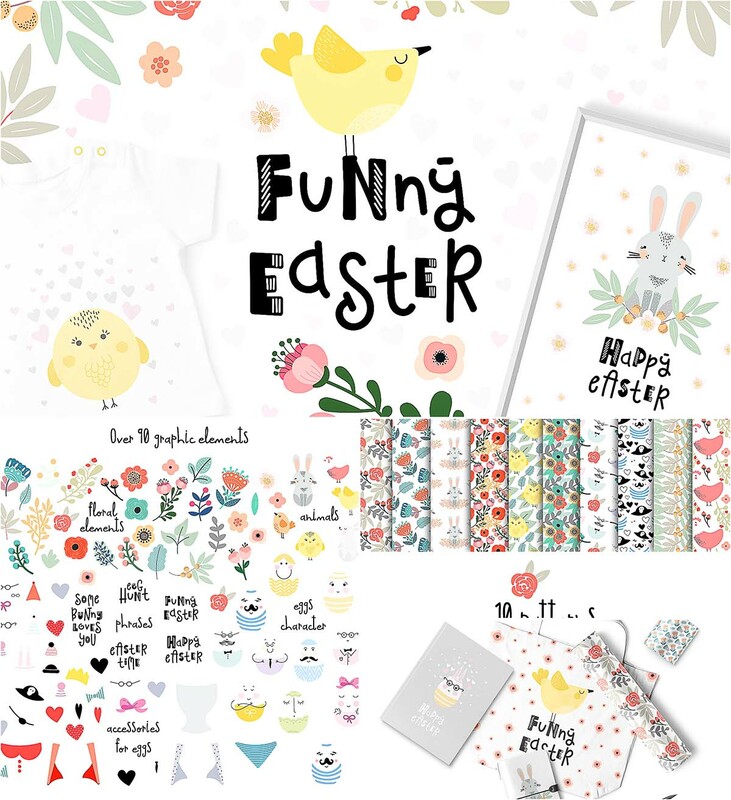 Funny easter – adorable set with easter eggs, animals, florals, lettering and other elements. Individual elements you can use for creating greeting cards, invitations, print on t-shirts, wall art. 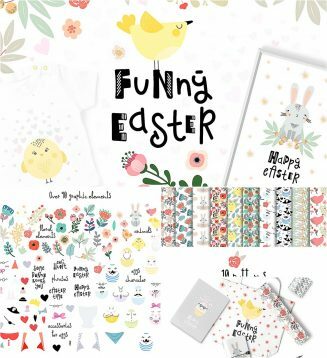 Tags: cute, Easter, easter egg, floral illustration, holiday, kids poster, nursery, nursery art, pattern, postcard, scandinavian.